Come join Royal Herbs at the Ladner Village Farmers Market! 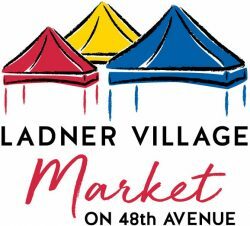 The Ladner Village Market is a first class, village market that brings together “make it, bake it, grow it” vendors, community organizations and 48th Avenue merchants to create a community enhancing event in Ladner Village. The Ladner Village Market strives to offer its community access to farm fresh produce and meats, artisans foods and unique, handcrafted products in a forum that brings together its community in a festive atmosphere. With an emphasis on Make it, Bake it, Grow it, the Ladner Village Market allows you to meet the individuals who create their products and sample their delicious creations. As you stroll through the market, you will be entertained by live performances from daily entertainers and talented buskers. The Ladner Village Market is held on the second and fourth Sundays in June, July and August and the second Sunday in September from 10am to 4pm. The Ladner Village Market never falls on a long weekend.